Past articles on this site have discussed custom industrial coatings and their advantages over off-the-shelf or standard coatings. In these articles, we have addressed some of the numerous operational and customer benefits experienced when using customized industrial coatings. The discussion has touched on the idea of Return on Investment (ROI). It is understood that the premium price for custom products must be offset by identifiable cost savings, as well as superior product, operational or in-use performance. Insurance against the steep costs of a production process slowdown, or worse, shutdown. What is the daily or even hourly cost of an idle production line? Will a vendor of standard products react in time to keep the operation in motion? How does this compare to modest additional expenditure on a coatings formulation? Insurance against dissatisfaction if your customer should experience inferior coatings performance. Satisfied customers often increase their sales with high performance vendors. High performance vendors need high performance suppliers. What are additional sales worth to your operation? Insurance against unsupported technical requests coming from your operators. To achieve peak performance, operators need answers to their questions. Custom formulators respond promptly and directly to these requests. Specialized manufacturers understand the idea of buying tailored insurance for their unique operation, obtaining custom coverage for practices which do not fit within normal insurance policies. The same analogy can be made for the high-performance coatings application line. If your application line has a unique configuration, or special requirements, or serious performance expectations, standard formulations may underperform. 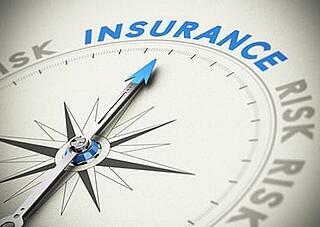 You expect your insurance carrier to provide superior claims service. You should expect your custom formulated coating supplier to stand behind their products. It makes sense to think of a nominal additional cost for custom industrial coatings as an insurance premium.